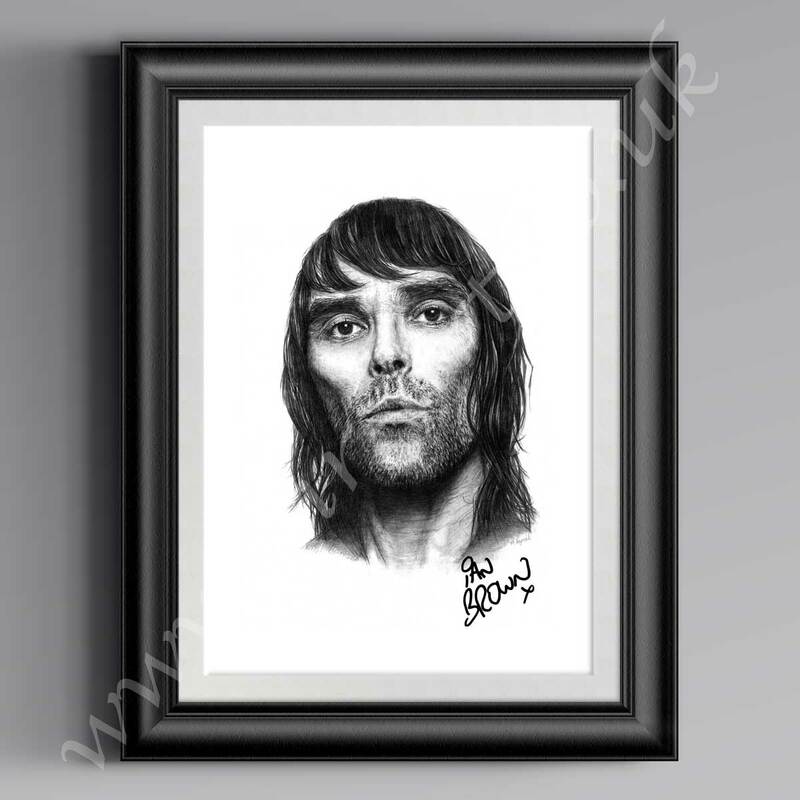 MR ART Ian Brown Prints available @ Fantastic Value!! Ian George Brown (born 20 February 1963) is an English musician, best known as the lead singer of the alternative rock band The Stone Roses, which broke up in 1996 but are, since 2012, reunited and touring again. Since the break-up of the Stone Roses he has led a successful solo career. On 2 December 2011 Ian Brown and John Squire performed together live for the first time since 1995. They joined Mick Jones from The Clash, The Farm and Pete Wylie at the Manchester Ritz in aid of the Justice for Hillsborough campaign. They performed on versions of The Clash’s “Bankrobber” and “Armagidion Time” as well as The Stone Roses’ “Elizabeth My Dear”.On 23 May 2012, The Stone Roses held their first public concert since their reunion, playing an 11-song set before 1000 fans at Parr Hall in Warrington. The show, which was only announced that afternoon, was free to attend for those who brought a Stone Roses CD, LP or shirt with them.